My friend, Ronin, sent me the following article exploring the FBI’s National Outreach Program in Muslim communities. The FBI is struggling to win the trust of the nation’s Muslim and Arab communities in its effort to improve terrorism intelligence. RICHMOND, Va. – When a local FBI agent wanted to make contacts in this city’s tight-knit Muslim community, he started knocking on doors. The agent didn’t look, much less act, like a typical investigator. He spoke Arabic and he wore casual clothes, not the suit and tie favored by many in the bureau. But the agent’s questions about international terrorist organizations unnerved Sahli. The agent wanted to know if he knew anyone with ties to extremist groups. Sahli, a Muslim married to a Christian woman, said he didn’t. For many Muslim and Arab Americans these days, meeting an FBI agent can be an unsettling, even terrifying experience. Beginning almost immediately after the Sept. 11, 2001, attacks, the FBI began to root out suspected terrorists, and Arab and Muslim communities became the bureau’s top targets. Agents rounded up hundreds of people for questioning. They raided Muslim charities, monitored mosques for radiation and held refugees for months because of security checks. Yet across the country, many participants wonder what the interactions achieve when mistrust remains the biggest obstacle. Some community activists compare the tone of the current encounters to those during the Red Scare of the 1950s, when U.S. citizens were singled out as suspected communists and expected to prove their loyalty to the United States. In Detroit, the home of an estimated 200,000 Arab Americans and immigrants, agents and activists sometimes argue for hours over terrorism-related investigations. Many Muslim leaders think the bureau has targeted the wrong people in its effort to root out extremists. Agents aren’t apologizing for their tactics and respond that they have a duty to pursue any possible U.S. ties to terrorists. More than 260 defendants have been convicted of terrorism-related charges in the United States and trials are pending for 150 more, according to the Justice Department’s latest estimates released in June. But agents also recognize that the alienation that Muslims and Arabs feel could undermine the bureau’s hunt for domestic terrorists. If the fear subsided, more citizens might come forward with tips, agents believe, at a time when the bureau is under mounting pressure to collect better intelligence. Muslim and Arab-American leaders said they, too, are eager to improve their relations with the FBI. If that happened, many of them said, they would urge their children to join a federal law enforcement agency that wants to recruit them. Now, most don’t. Muslims and Arabs also hold out a small but persistent hope that if FBI agents trusted them more, other Americans would, too. Despite their misgivings about the FBI, Muslim and Arab leaders said they’re more than willing to provide any information that could prevent a terrorist attack. After London authorities in August uncovered a plot to blow up planes, Miami community leaders called the FBI to ask for a briefing. ”As an American I am very concerned about what is happening elsewhere and I don’t want it to happen here,” said Altaf Ali, the executive director of the Council on American-Islamic Relation’s Florida chapter in Pembroke Pines. Since then, agents have been assigned as contacts for imams at almost 40 mosques. But experts said the bureau’s mission is made more difficult because of outreach techniques that often differ by region. Michael Rolince, former head of the FBI’s International Terrorism Operations Section, said the bureau remains divided over how to approach Muslims and Arabs when it’s not in the context of a terrorism investigation. As a result, the FBI’s 56 field offices don’t have a uniform way of handling outreach, Rolince said. 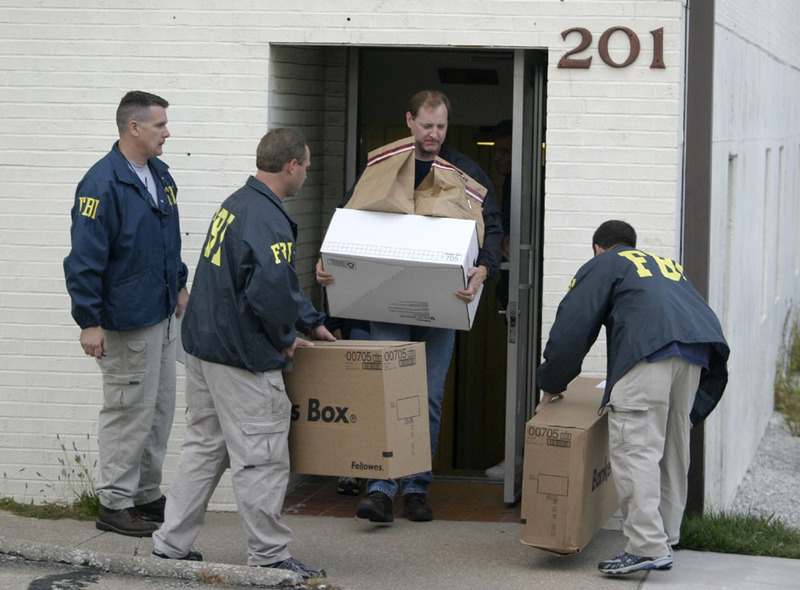 According to a study released earlier this year by the Vera Institute of Justice, seven out of 16 U.S. cities with significant Arab and Muslim populations didn’t have active FBI outreach programs. The institute, a nonprofit organization in New York, wasn’t permitted to identify the cities as part of its pact with the FBI. But more contact isn’t always better. Although the FBI met more often with community leaders than most local police departments did, Muslims and Arabs trusted them less, the Vera Institute of Justice concluded. Community leaders said local police officers were less likely than the FBI to assume they had links to terrorism. In South Florida, Washington, D.C., Los Angeles, New York and Detroit, agents meet regularly with groups of Muslims and Arabs. The larger community gatherings help the leaders feel less singled out, agents said. Agents said they want leaders and activists to feel comfortable telling them about hate crimes allegations, as well as any suspicious activity connected to potential terrorism activity. Although Muslim community leaders said they appreciate the meetings, they said they have become frustrated with the FBI’s inability to solve many of the hate crimes they report. If the FBI could demonstrate more success in solving hate crimes, Muslims and Arabs said they would see the bureau in a more positive light. This entry was posted on 24 November, 2006 at 3:51 pm and is filed under FBI, politics, War on Terror. You can subscribe via RSS 2.0 feed to this post's comments. You can comment below, or link to this permanent URL from your own site.